LeBron James, Kobe Bryant and Derrick Rose all make millions. Tamika Catchings, Candace Parker and Diana Taurasi do not, at least not in the WNBA. To get a sense of the pay difference between the two leagues, the WNBA salary cap for 2012 is $878,000 per team and the maximum salary for a player is $105,000. 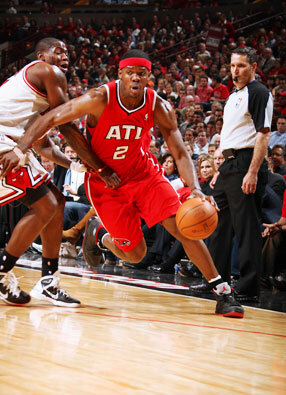 The Atlanta Hawks' Joe Johnson will make more than $219,000 a game in this lockout-shortened season. So how do WNBA players earning the league-minimum $36,570 salary get by? They spend the offseason playing overseas. "If you're not coaching or doing something with your team in the U.S., you're overseas playing," said the Fever's Catchings, who has played abroad for eight of her 10 years in the WNBA. "I know some of my teammates, we lost on a Tuesday and some of them were overseas on that Friday and they'll get back in April." Talk about unequal pay: The most a WNBA player can make in a season is $105,000. The Atlanta Hawks' Joe Johnson this season will make more than $272,000 -- per game. Agent Bruce Levy said players can add to the average $72,000 WNBA salary by playing overseas, where a typical seven-month contract starts at $40,000. Marquee players can make as much $600,000, including incentives, for one season. With virtually no salary restrictions, two or three players can reach $1 million, including bonuses, Levy said. Lauren Jackson, Parker and Taurasi will make $1 million playing overseas this season. "There is no economic justification for it," Levy said, referring to high salaries for women's professional players overseas. "There is no college ball in Europe. This is like a surrogate. "Big-time college sports are business, even women's basketball, but you never see anyone saying we made this much profit. It's psychic income. It's a chance to become a champion. It's recognition and respect. ... That's the kind of return that people can expect." It may be psychic income for team owners, but it's real revenue for WNBA players. The most popular country for WNBA players this offseason is Turkey, where 28 are competing. Israel and Russia are second and third, respectively. Catchings, 32, played in Istanbul during the last offseason. She stayed home this season while recovering from a torn plantar fascia in her right foot. 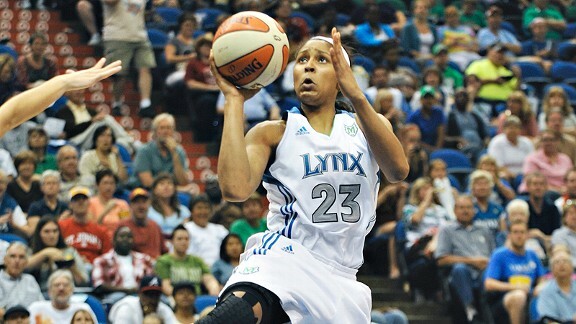 She's in a better position to afford it than some, making the WNBA maximum of $105,000. She also has an endorsement deal with Nike to help pay the bills. Playing virtually year-round helps WNBA athletes make a comfortable living, but it has its costs. "Being overseas, it's a toll on your body," Catchings said. "You're not flying all over the place. You're on a bus. You know some of the practices and some of the things you do overseas are a lot different as far as the training methods. It takes a toll on your body. You look at my knees and my ankle, and injuries have been bad for me." Catchings said if she had to choose being abroad or being stateside permanently, she'd opt to play only in the WNBA. She said she likes having her family at games. That said, she wouldn't rule out playing overseas again once she's healthy. "At the end of the day," she said, "it's definitely a business decision."